new products | there, then, and now. As of November 2013, the official Instagram Beta on Windows Phone was launched. They claim that it is smoother, but on the Xoom, I experience some lag here and there. Ice cream sandwich was actually a lot more smooth, but still better than Honeycomb which was really laggy. Google Now: Impressive smart searching. I haven’t used it to its full extent yet, and it’d probably work better when I’m travelling. Improved widgets: I love it. Now, if you want to place a widget in a location that’s already occupied, the icons move away to other locations on the grid (if they fit) automatically! And yes, they are now resizable (actually I think they had this in ICS too but I’m not sure). Other than that I don’t see very many differences. There -are- a lot more new things you can do in terms of development though, which is exciting news. I’m glad that more apps are being built on tablets, some with impressive UIs, too. On the topic of different OSes, WP8 is coming out soon. I realize that I never did a review on my new Windows Phone that I bought about 2 months ago. So I got a Samsung Focus 1 (I thought it was the Focus 2 for the longest time..), I got it used for mid $100s, compared to ~$400 full price. Why WP? I believe I was in a huge WP craze at the time and I vowed to get one after seeing its ‘metro’ UI and its ease of access to social media. 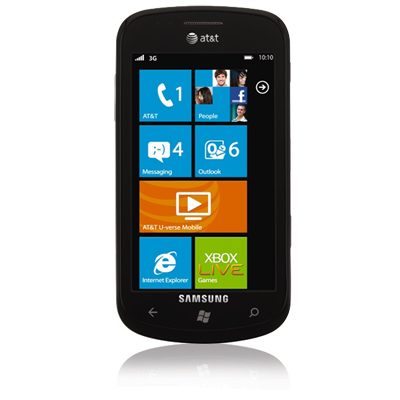 The deal with Win Phone is that there aren’t a lot of models out there, so many updates are being pushed frequently. Unfortunately all the current WP7 phones out there cannot get a full Win8 upgrade when it comes out. We’ll get the UI but not the core features. A little disappointed when I found out about it, but oh well. I still love it. The UI is very smooth, and I have barely experienced lag (A friend of mine who has the Lumia 900 has commented that his phone is not as smooth as mine). Multitasking is easy, accessing Facebook / email / your other faves is awesome via pinning your apps to Start. In terms of customizability, WP is definitely better than iOS, and on the same level as Android. Pinning is equivalent to widgets or icons for Android, except that scrolling is vertical on WP. In Win 8 though, they’ll add the ability to resize your tiles (can’t wait ;)). Now the interesting thing is that WP lets you stalk people very , very easily, through the central application: People. You can sync all of your Twitter, Linkedin, Facebook, etc contacts. Selecting any contact shows you your call/message history, and there is also a compressed news feed based on that person. You can also pin that person to Start for easier access. Creeped out yet? Diving deeper into syncing contacts, WP has the ability to ‘link’ accounts together. i.e. Bob has a twitter and a facebook that used different emails. WP suggests to you that Bob Twitter may be the same person as Bob on Facebook. You can easily link them so they are just 1 single contact, and when you want to talk to Bob, you can select from all the various social media (whatever’s appropriate) to contact him! Music playback is easily accessible from the lock screen, sharing photos takes a few seconds. Battery life is amazing. Note that I don’t have a data plan, but my wifi is on at all times. My phone usually lasts 2 days before it needs a recharge. Note that I don’t call for long durations that often (usually <15 min calls). Now, for the things I -don’t- like. I’ve had a lot of issues with setting alarms on it and actually waking up. Alarms at max volume for some reason is not as loud as normal music playback at max volume. I’ve missed a bunch of 830 classes because of my very quiet alarm. Another issue I’ve had is that during calls, if I get a push notification, the phone is no longer locked, so my face starts touching random buttons like End or Hold Call. It’s annoying, but it’s something to get used to. The other main issue with WP is that there is a very small app store. All the ‘essentials’ are not available, and cool apps are usually introduced to iOS and Android first wayyyy before it will ever be introduced to WP7. I’ve been bringing around my iPod during outings just because I want to use Instagram. *sigh, when will the day come? As a user, it may be very difficult to get accustomed to the common layout schemes used in most apps, as they are so much different on WP compared to other OSes. For some apps like Foursquare, I actually wish they follow the same design as the other OSes, but typical iOS and Android layouts can be very difficult to mock due to the available templates given to WP developers. I think I’m on a roll today, I’m feeling very reflective. Or maybe I’m just trying to avoid what I’m supposed to be doing today – catching up on work. I had to work from home on Friday since I recently caught a cold. It was a bad idea for me to go out so much yesterday, as it kept raining; yet today it’s beautiful and sunny. I think San Francisco is trolling me hard. Anyways, it’s nearing the end of the term (well, 5 more weeks) and I have to decide on a work term report and technical presentation milestone topic. Wait wait. What? Well, I have to write a report based on something I learned at work. It’s a requirement for Waterloo co-op. I didn’t have to do it last term since they changed the curriculum, and I have to do 3 in total. I also have to do a TPM, a technical preso early next term. More on it here. At first I was thinking of doing something extremely basic, but still technical. Android Apps & Version Compatibility. It’s definitely a problem that I run into from time to time at work. I guess for those already in the mobile space, it’s something pretty basic and straightforward, but it’s a problem that you cannot forget about. To sum it up, in order to create Android apps that support down to 1.5/1.6, the earliest public versions of Android, you need to do a lot of workarounds, especially for design. Ice Cream Sandwich is the latest version, and only a small handfull of phones are running it. In fact, about 1.6% of all Android users are running ICS. This is a stat based on access to Google Play (Android’s new name for their Marketplace), and you can read more here.